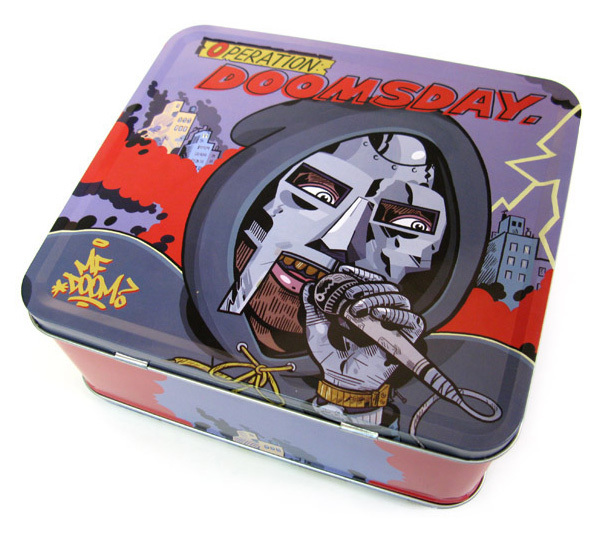 Not only can you sport MF Doom wherever you drag your bologna sandwich, but you can do it while bumping Operation: Doomsday, the box set which comes with it. So you may have to get your own thermos, but you’re better off with the 2 CD’s (complete with his debut album tracks, instrumentals and b-sides), a 32 page book of lyrics and a set of 10 Operation: Doomsday MC Cards. And if you think CD’s are so 20th century, don’t trip — there is a digital or LP version of the set available too. Getting your Metal Fingers on this limited edition metal box is just a Stones Throw away.